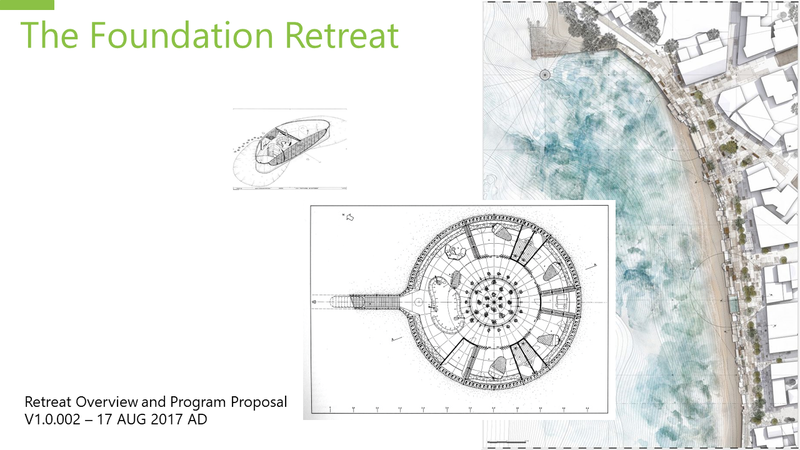 The purpose of the Foundation Retreat is to educate, sustain and help progress humanity through providing a place for learning about and acquiring sustainable technology and protecting our future. Like the Transhuman House, it’s a museum of the future and a tool to education and a retail outlet to make that future technology available to others. It aligns with the saying that the future is here just not evenly distributed. 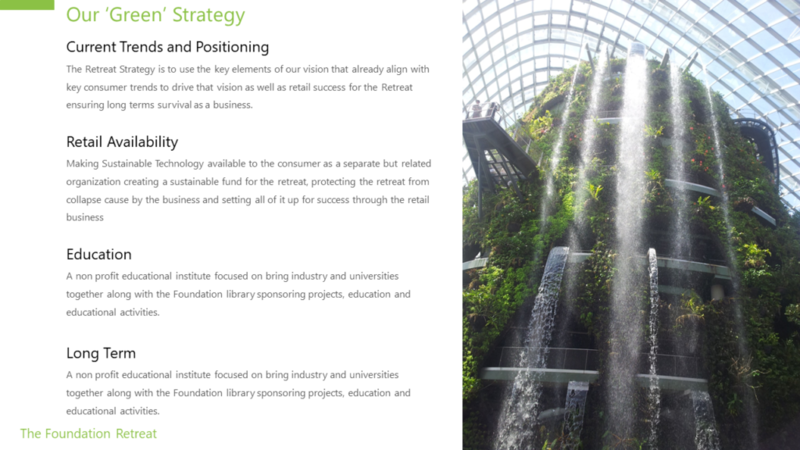 The Retreat Strategy is to use the key elements of our vision that already align with key consumer trends to drive that vision as well as retail success for the Retreat ensuring long terms survival as a business. 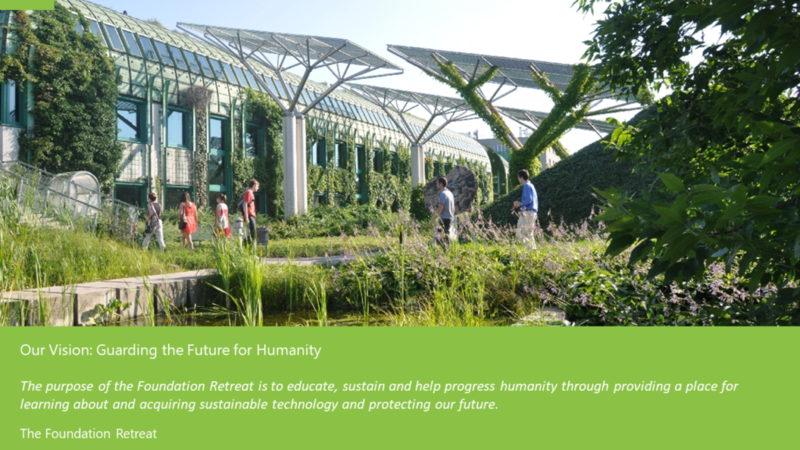 A non-profit educational institute focused on bring industry and universities together along with the Foundation library sponsoring projects, education and educational activities. 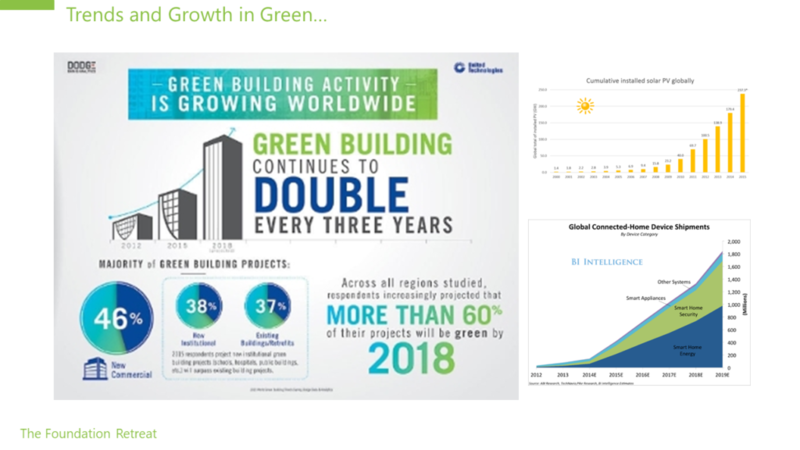 To be clear this is a business plan and focused on taking advantage of current trends to do go AND produce money and be profitable but in a way that can move the vision of going green, helping humanity and making these technologies available to others. The most success in brick and mortar is the experience you can’t get on the computer. 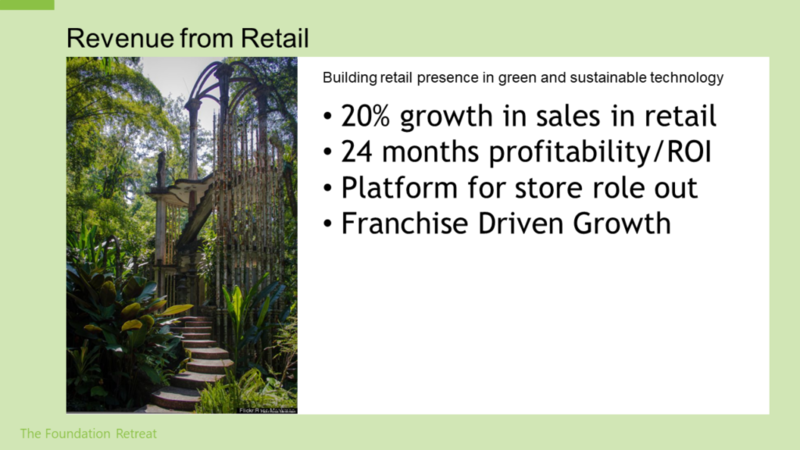 The Sustainability Store it is about experts in the field that work there because the love it and honestly want to help w/o commission. 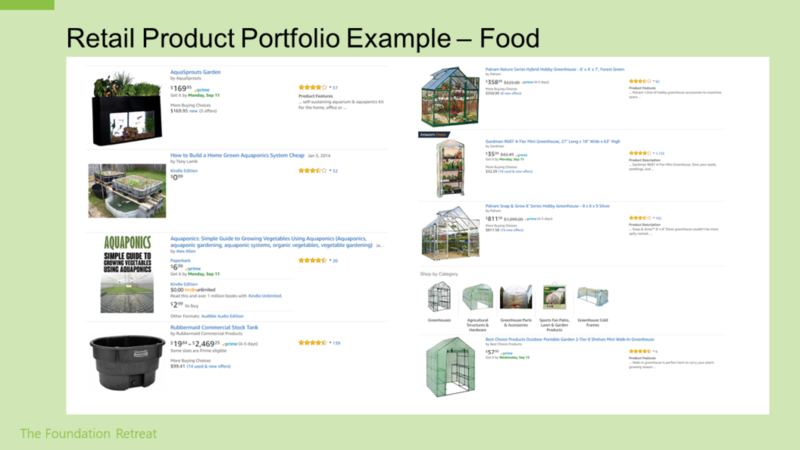 From consumer education to partnership installations the ‘Sustainability Store’ is there to help. 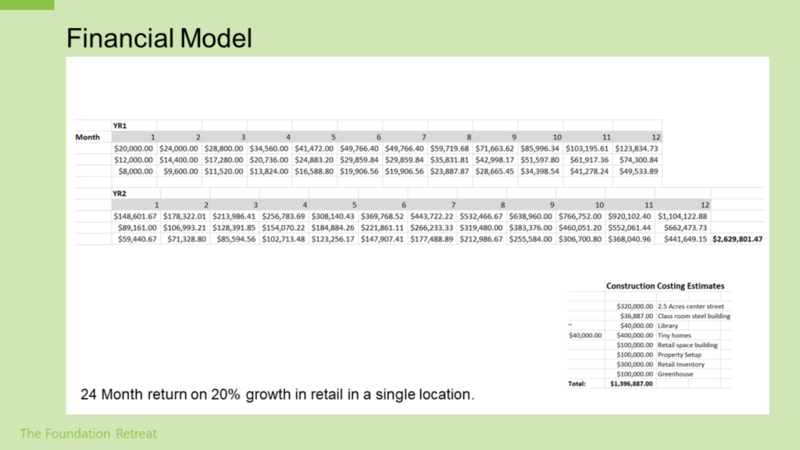 24 Month return on 20% growth in retail in a single location. 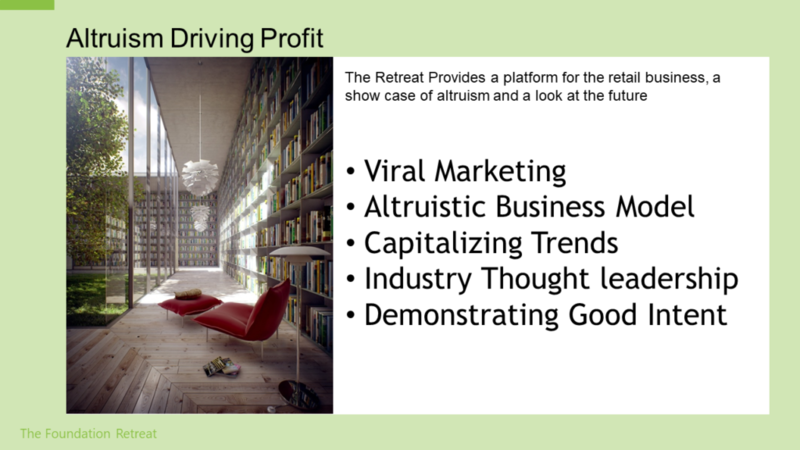 The Retreat Provides a platform for the retail business, a showcase of altruism and a look at the future. 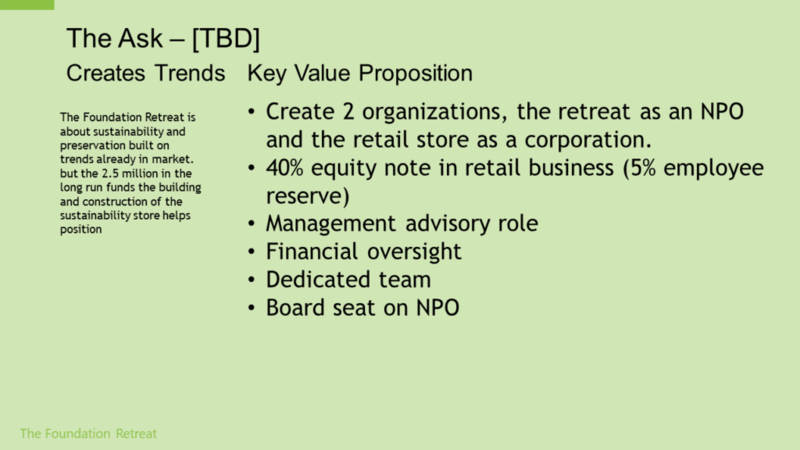 Create 2 organizations, the retreat as an NPO and the retail store as a corporation. 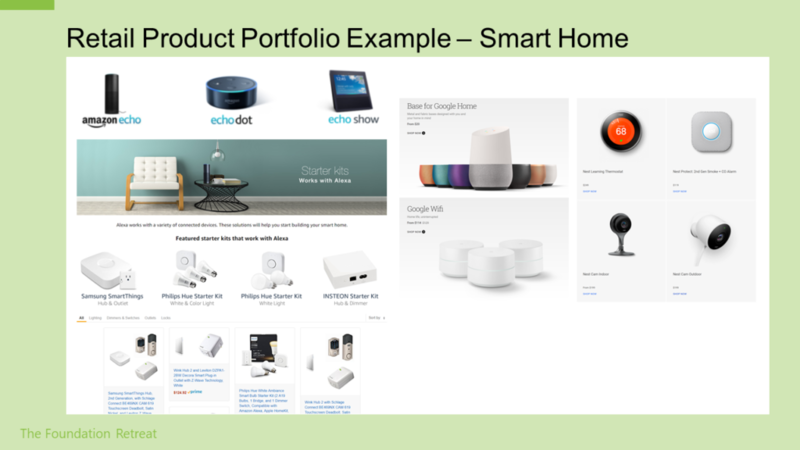 Smart home products are one of the most popular trends in home improvement and in building and design our future. 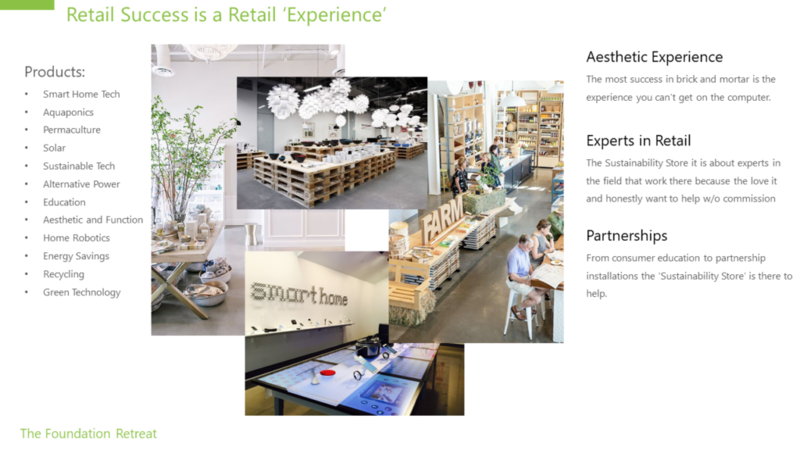 Many elements of this are about making your life easier as we progress and making the better products available to touch and experience is part of how we expect to make the location a real-life experience. 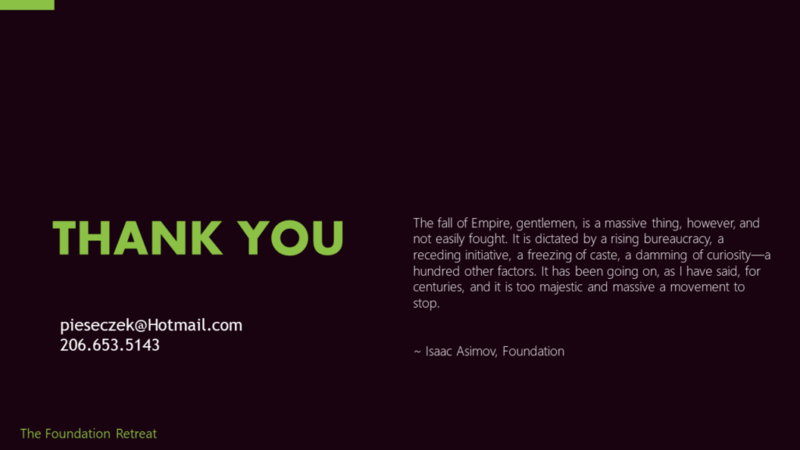 Our only path forward as a species is in sustainable technologies in particular our ever increasing need for power. 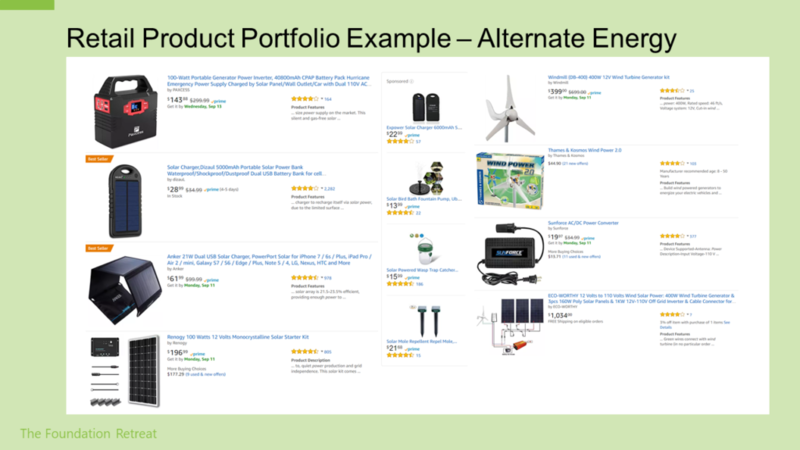 Making Alternate or sustainable energy available to others is one of the key product areas of the plan. 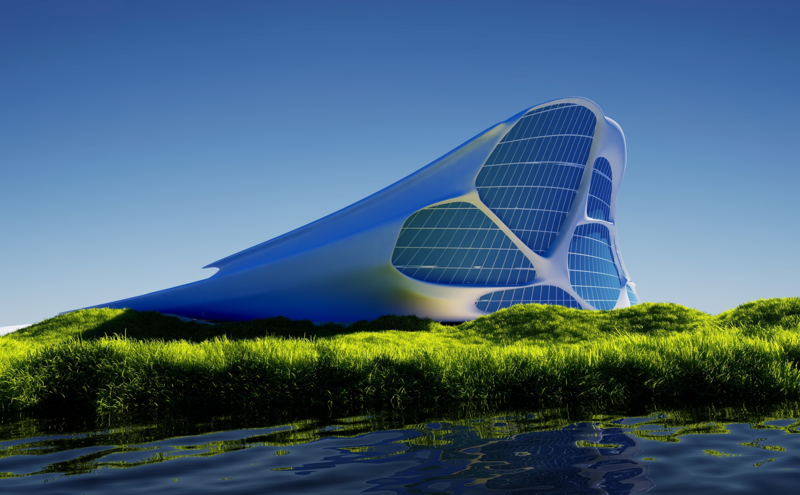 focused on sustainable technologies even with food production is important now, on earth and as we grow out into space.